Timothy Panek, MD, is a board certified orthopedic surgeon who also holds a subspecialty certification in sports medicine. He has previously served as team physician for a decade at Mahtomedi High School. 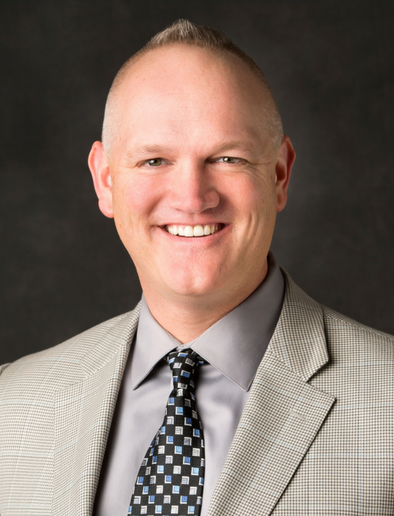 He maintains an active practice in sports medicine as well as hip and knee replacement surgery and he was previously the medical director of Twin Cities Orthopedics East Metro. Dr. Panek’s outside interests include Viking and Gopher football, skiing, biking, watching his kids participate in sports, and anything else that gives him a chance to spend time with his amazing wife. My experience with Twin Cities Orthopedics and the EXCEL Program was very good. Dr. Panek is great. My hip replacement surgery went well. I couldn’t believe that I was walking the same day. It is amazing how much the new hip has improved my life. I’ve resumed sailboat racing and despite the pressure that it puts on my leg and hip, I have no pain. I ride my bike, walk miles on trips, ice skate, and participate in other activities. My leg feels so good that I often forget that I have an artificial hip. Sometimes when I go through airport or sporting event screenings, I forget to tell them and set off the alarm. I had been living with knee pain for years and had visited several Orthopedic Physicians. Once I met Dr. Panek and his team, I immediately felt comfortable that they would handle my issues. Had a knee replacement in June 2018 and I can truly say “why did I wait so long?’ Due to the skill of Dr. Panek, I now feel better than I have in years! While participating in the EXCEL program and with the expertise of Dr. Panek and his team, I have made a successful recovery from knee replacement surgery. I am back to kayaking, bike riding, walking digging in my garden, re-arranging (large) rocks in my garden and living life to the fullest! I had a total knee replacement in September 2016 by Dr. Panek in the Excel program at TCO in Oakdale. I cannot say enough great things about my experience. Form the first consult, through the surgery and aftercare, the care was exceptional and my surgery and recovery was smooth and swift. Dr. Panek was a great listener and his positive demeanor and skill as a surgeon put me at ease. The Excel program allowed me to stay in this quiet and peaceful setting, with a nurse that was fully available around the clock to assist me in a quick recovery. I was able to go home in two days. I continued my recovery by receiving exceptional personalized physical therapy at TCO’s PT clinic in Stillwater. I believe I recovered quicker with this program and I highly recommend Dr. TJ Panek and the Excel program for anyone considering a knee replacement. See my big smile? Due to the efforts of Dr. Timonthy Panek, and his Twin Cities Orthopedics team, I reached my last goal in my hip rehabilitation: returning for my twenty third year to hike in the Swiss Alps near the town of Grindelwald., Switzerland. My successful recovery came through hard work, setting reachable goals and persistence on my part. Both pre and post-surgery, I set goals, and as I successfully completed one or two easier ones, I added more. I always kept my main goal in mind, returning to the Alps to see for myself once again the pristine Lake Balcupsee surrounded by the majestic Alps just above Grindelwald., It was totally worth the year spent in my rehab effort. Thanks to TCO for your guidance and patience in helping accomplish this journey. I can’t express enough the satisfaction I have had with all aspects of my surgery, starting with Dr. Panek and all the adjunct caregivers from the hospital stay to his assistant Will. Dr. Panek’s expertise, intelligence, kindness and reassuring manner was absolute top notch. The surgery went perfectly, the results are such a relief to my well-being. I was able to regain my strength and flexibility within three to six months of the surgery. I went on a month long trip to Europe at the beginning of the sixth month, that he predicted could happen for me without pain or discomfort. I am forever grateful to my friend for recommending him. Thank you Dr. Panek. Dr. Panek was the first, after many years of searching and being turned away, to take me in as a patient and do both my knee replacements that were desperately needed. Thanks to his close care I can walk pain free and sit in a chair normally for the first time in twenty years. Dr. Panek just so happens to have also done hip surgery on my grandfather and two total knees on my step father before me. Thanks Doctor, you were literally one in a million for me. I found out about Lakeview Hospital’s orthopedic surgery from advertisements in my local paper. After a little research online and speaking to a few others on the Iron Range who have had work done at Lakeview, I made my first appointment. I was very impressed with the facility, and the care I got from Dr. Panek was outstanding. He was very informative and caring, and the rest of the hospital staff was wonderful. I’d like to give a big thanks to Dr. Panek and all the others for taking such good care of me. I am very pleased with my recovery and results. I would recommend Lakeview Hospital to anyone needing orthopedic surgery. I am going to need my other knee done in the future and would like to come back to Lakeview. Physician Assistant Ron S.had worked with orthopedic patients for more than 30 years. In February 2007, Ron became the orthopedic patient– undergoing a total knee replacement. He says the experience changed his personal and professional life. Ron’s journey to his new JOURNEY knee began 30 years ago, when he fell off a ladder and injured his right knee. Over the years, his knee got progressively worse. Finally, his degenerative arthritis became so bad it was interfering with his sleep, and he couldn’t walk more than a few feet without extreme pain. His knee pain was preventing him from doing the things he loved to do; and work was extremely difficult, as he was required to stand for long periods of time during surgeries. Because Ron has such an in-depth knowledge of orthopedics, he limped around for about a year as he waited for a new prosthetic to hit the market. He had researched prosthetic knees and had his eye on a new prosthetic, JOURNEY, by Smith and Nephew. The design of the JOURNEY prosthetic is geared toward younger patients who want to lead an active life. At age 55, Ron was concerned he would probably need a second knee replacement during his lifetime (because, eventually, artificial knees do wear out). Based on research, SCO surgeon Dr. Timothy Panek said he hoped the unique metal that makes up Ron’s JOURNEY prosthetic knee could last 20 years or more, double the life expectancy of other artificial knees. There are also other advantages, too. “This knee looks and acts more like a human knee – and so it acts more like a knee for the patient,” said Panek. Ron volunteered to be the first patient at Woodwinds Hospital in Woodbury to receive a JOURNEY knee. As he prepared for his total knee replacement, he was interviewed by WCCO and Smith and Nephew (who also filmed his surgery). After surgery, that same night, Ron was already up walking around. He was able to flex his knee 120 degrees post operation; but, most importantly, the deep burning pain of his arthritic knee was gone. Ron went home the next morning, determined to complete his physical therapy on his own and get back the life he wanted to live. Two weeks after surgery, Ron went to Mexico for a work-related seminar. While he was in Mexico, he continued his therapy in the pool and enjoyed being able to walk without pain. Ron credits Dr. Panek for his successful knee replacement. “He is an excellent surgeon who pays attention to the details,” he said. Ron is very pleased with his new knee and is already busy putting it to the test. He loves waterskiing, deer hunting, biking and walking. Last summer, he went camping with his family and couldn’t go hiking with them. This year, Ron says, he’ll be leading them up the hiking trails out in front with the grandkids. Mary Ann has a long career spanning over 17 years at St. Croix Orthopaedics. On January 27, 2007, she went from employee to patient when she fractured her ankle. Mary Ann was at a neighbor’s house for dinner and caught her foot as she walked down the steps. As she waited in the emergency room at Lakeview Hospital, she just wanted to know that everything was going to be okay with her ankle. Dr. Panek performed surgery on Mary Ann the next day and her recovery process was great. She was nonweightbearing for two weeks, so she had to rely on her daughter to drive her to work. But anyone who knows Mary Ann understands she is not someone who would read or watch TV for weeks. Mary Ann said she went from cast to ankle boot to ankle brace in six weeks. Mary Ann performed her part in the recovery process. She followed Dr. Panek’s post-op instructions and did physical therapy and exercises to strengthen her ankle. Her unfortunate accident did not slow her down as much as she had feared. She’s looking forward to getting back to the things she loves to do including walking her dog, gardening, and exercise walking.